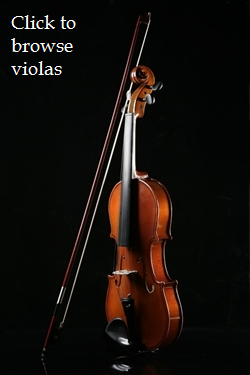 The viola is similar to the violin but slightly larger. Its lower, more mellow tone creates some beautiful calm and soothing music. The viola looks so much like a violin that many people think it is—violists, of course, are quick to correct them. It's played in the same manner as a violin. The viola's sound blends well and makes it an excellent accompaniment instrument in string choirs and orchestras, but its beautiful mellow tone is often used in solos as well. Viola isn't a difficult instrument to play. Like all the instruments, the more you practice the better you play. Here are some examples of viola performances as well as some viola tips and tricks. Here's an example of viola music. There are lots of great reasons to play viola. The viola makes a beautiful, soothing sound. Viola is fun to play in string duets, trios, quartets, and other ensembles, and sounds good with almost all other instruments. Some beautiful music has been written for viola, in virtually all musical styles. Viola isn't difficult to learn — it just takes some practice. The viola is light and easy to carry. 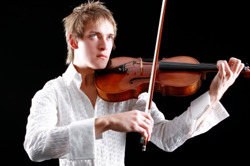 Viola players get college scholarships. 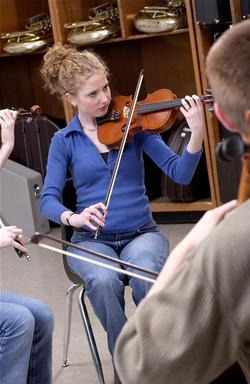 Once you can play viola it's easy to play other string instruments like violin, cello, and bass. Serving Memphis, Nashville and surrounding areas, we can help you with all of your instrument needs. Call us to get started!